Join us in the foothills of the Laramie Mountains at Curt Gowdy State Park in Cheyenne, WY, for the Curt Gowdy 1/2 Day Adventure Race. 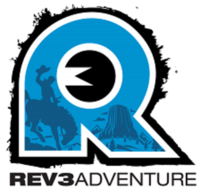 At this 6 to 8 hour beginner to intermediate Adventure Race you and your teammates will trek among towering granite, rocky soil, and timbered hills; mountain bike along some of the newest and best MTB trails around; and paddle on one its two reservoirs. This race is designed for a beginner to intermediate--a Strong--and will be simple enough to learn and enjoy but challenging enough to be considered an adventure race! The morning of the race, we'll give your team a map with checkpoints and a list of "Rules of Travel." This gives you clues to checkpoints and tells you how you'll get to them--by trekking, paddling, or mountain biking. Teams will have 6 to 8 hours to find as many checkpoints as possible. Each checkpoint and challenge will be given different point values, so strategy is vital. The highest point accumulation in the shortest amount of time will determine ranking. We will have several challenges set up on the course, each involving lots of teamwork. Once the teams have found all of the required checkpoints, they sprint back to cross the finish line. The Curt Gowdy Strong Adventure Race is basically an off-road, all-terrain, high-octane scavenger hunt. It's perfect for beginner to intermediate adventure racers or those who want to work on their navigation skills--you can choose how far and how hard you race. And after this event, you're sure to be hooked! Check out the event web page at www.cowboytoughwy.com for updates and a link to the racer guide with all race weekend information.